For over 25 years, Mark Anchor Albert has consistently achieved outstanding results for his clients in complex business litigation and trials. He has been instrumental in obtaining hundreds of millions of dollars in recoveries for his clients from corporations and their insurance carriers in difficult cases involving complicated liability, damages, and related insurance coverage issues. He also has successfully defended companies and individuals facing hundreds of millions, even billions of dollars in potential liability, often succeeding in having difficult cases dismissed by motion before trial, or otherwise obtaining deeply discounted settlements on favorable terms. Mr. Albert provides sophisticated legal services for clients who wish to obtain "big firm" expertise, experience and results in complex litigation cases with personalized “boutique firm” attention – and without incurring "big firm" fees and costs. Prior to establishing his own firm, Mr. Albert practiced law for 20 years in senior roles at preeminent firms – Sidley Austin LLP, Hennigan, Bennett & Dorman LLP (now known as McKool Smith LLP), and Graham & James LLP (now known as Squire, Sanders & Dempsey LLP) – where he worked with and against some of the finest attorneys in the country. As described in the "Representative Cases" and "Published Decisions" links on this website, Mr. Albert has an established track record of success in complex business litigation, earning a reputation for intelligence, integrity and faithful dedication to his clients' interests. Mr. Albert attended the University of California at Berkeley, where he majored in Comparative Literature, with emphasis in Romance languages and literature. Mr. Albert is fluent in French, Spanish and Portuguese, and is conversant in Italian. Mr. Albert was U.C. Berkeley's first-string heavy-weight boxer, and rowed crew on the U.C. Berkeley Crew Team. Phi Beta Kappa invited Mr. Albert to join its honor society in his junior year. He was a member of the Dean's Honor Society every term, and graduated in 1984 with High Distinction in General Scholarship. His senior thesis, "Forma e Conteudo em 0 Sonho da Terra " -- a literary critical analysis -- was published by the University of Sao Paulo, Brazil, in 1984. Following the family tradition, Mr. Albert then attended Berkeley Law (U.C. Berkeley's Boalt Hall School of Law), where he became a member of the California Law Review in 1987 and was elevated to Associate Editor in 1988. His senior thesis, "Deregulation and the Thrifts: The Case for Dismantling the Current Regulatory Structure," was published by U.C. Berkeley's National Center of Financial Services in 1988. Mr. Albert remains current on emerging developments in the law in his areas of specialization. He often speaks and teaches at public seminars, and publishes articles on complex litigation issues. Cultivating good relations and a solid reputation for integrity, intelligence and effectiveness with both judges and other senior attorneys plays a significant role in obtaining successful outcomes for Mr. Albert’s clients. To more effectively serve his clients, Mr. Albert maintains active and close relations with both the Bench and the Bar in Los Angeles. Mr. Albert is a member of the Executive Committee of the Litigation Section of the Los Angeles County Bar Association, which oversees over 2,000 members, and works closely with the judiciary on matters impacting our trial courts and the administration of justice. 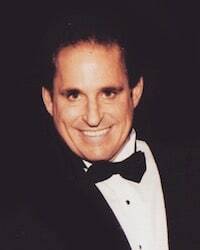 He is the Chairman of the Judicial Profile Committee of the Los Angeles County Bar Board of Trustees and the Association of Business Trial Lawyers (ABTL), collaborating with federal and state court judges in Los Angeles to prepare judicial profiles for the aid of attorneys appearing in their courts. Mr. Albert also is a member of the Bench/Bar Committee of the California Judicial Council. These relationships create good will which enhances Mr. Albert’s effectiveness as an advocate for his clients’ interests. When he is not practicing law, Mr. Albert contributes to various pro bono, charitable, and civic activities in the greater Los Angeles community. Mr. Albert believes that success carries with it the responsibility to give back to the community, and that his clients benefit from the good will generated from his pro bono, charitable, and civic activities. Both the Bench and the Bar have publicly recognized Mr. Albert for pro bono trial and appellate advocacy for poor and disadvantaged individuals. The Second, Fourth and Fifth Districts of the California Court of Appeals have selected Mr. Albert to act as special appellate counsel to represent indigent defendants on appeal. Mr. Albert is the recipient of the State Bar of California Wiley W. Manuel Award for Pro Bono Legal Services, the President's Pro Bono Service Award, and the Public Counsel William O. Douglas Award (team recipient). The Office of the Mayor, the entire City Council, the entire Board of Supervisors of the County of Los Angeles, and the California State Senate, have honored Mr. Albert and his Foundation for their contributions to the People and Government of the City and County of Los Angeles, and the State of California.